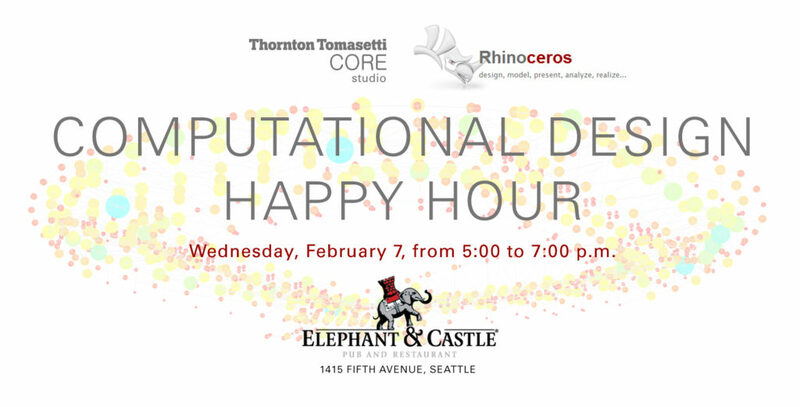 Thornton Tomasetti, McNeel & Associates, and the Seattle Dynamo User Group invite you to join us at a gathering for computational designers. Thornton Tomasetti’s New York-based CORE studio crew is visiting colleagues in their Seattle office. We’re taking the opportunity to get together with computational designers from the Seattle area to talk about emerging tech tools and current developments in architectures and engineering. Feel free to invite interested colleagues. We hope to see you there! Thornton Tomasetti’s CORE studio has long been a leader in the computational design community and continues to drive innovation in the AEC industry. The producer of many open source tools for Grasshopper and Dynamo, they also host a popular annual AEC Technology Symposium and Hackathon in New York.